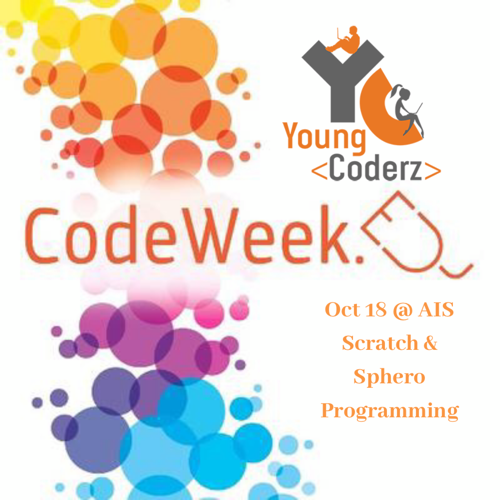 YoungCoderz will be conducting Coding Workshop at Asker International School on 18th October (09.00 -15.00) to support CodeWeek EU. We will doing Scratch and Sphero Programming for primary year students. Grade 1-3 will be introduced to Block programming using Scratch. Once familiarized with different blocks they’ll program a simple Hide & Seek Game. Grade 4-5 will explore coding with Sphero robots by programming simple movements, loops and more. Then they’ll design a maze and navigate their robot through the obstacles.